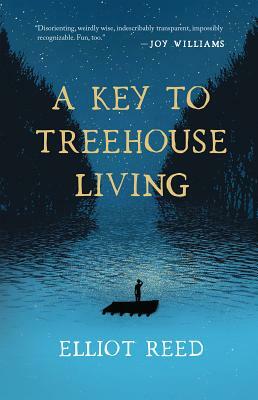 A Key to Treehouse Living is the adventure of William Tyce, a boy without parents, who grows up near a river in the rural Midwest. In a glossary-style list, he imparts his particular wisdom on subjects ranging from ASPHALT PATHS, BETTA FISH, and MULLET to MORTAL BETRAYAL, NIHILISM, and REVELATION. His improbable quest--to create a reference volume specific to his existence--takes him on a journey down the river by raft (see MYSTICAL VISION, see NAVIGATING BIG RIVERS BY NIGHT). He seeks to discover how his mother died (see ABSENCE) and find reasons for his father's disappearance (see UNCERTAINTY, see VANITY). But as he goes about defining his changing world, all kinds of extraordinary and wonderful things happen to him. Unlocking an earnest, clear-eyed way of thinking that might change your own, A Key to Treehouse Living is a story about keeping your own record straight and living life by a different code.